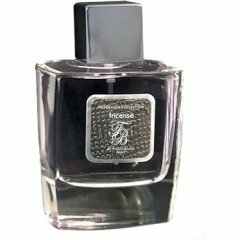 Incense is a popular perfume by Franck Boclet for men and was released in 2013. The scent is spicy-woody. It is still in production. At the same time a strong aromatic, slightly buttery note can be perceived, which melts with the cinnamon to a whole and comes from the cardamom. This constellation is visible on my skin for 25 minutes before the heart note unfolds. Now there is a beautiful bright powdery - sweet, balsamic note to perceive, which exudes a sensual masculinity and also brings a warming aura and is thanks to the benzoin. The heart note is perceptible on my skin for 4 hours before the base asserts itself. The base becomes wonderfully clear thanks to the ebony - woody that appears pleasantly soft and supple. The ebony gets a fine spicy - creamy touch from the sandalwood and provides a beautiful substance. These two notes are enveloped in a rosy, gang discreet smoky nuance that comes from guaiac wood for a pleasant finish. Incense is a great companion in the spring, autumn and winter months for the gentleman over 30 who is looking for a sweet, spicy, aromatic, balsamic, woody, flowery and smoky fragrance that gives warmth and exudes a masculine sensuality. In total, the fragrance lasts 7.5 hours on my skin. The Sillage is designed from the beginning in such a way that one is perceived very well at half an arm's length and this is maintained also 3 hours in such a way, before it minimizes itself in quiet steps, until the smell finally completely fades away. Write the first Review for Incense!